Figure 19.19 • HMG-CoA reductase reaction. tase inhibitors are effective hypocholesteremic agents in patients with familial hypercholesteremia. Three drugs, lovastatin, simvastatin, and pravastatin, compose the list of approved HMG-CoA reductase inhibitors for the treatment of hyperlipidemia in patients. The three drugs have structures similar to the substrate, HMG-CoA, of the enzyme HMG-CoA reductase. 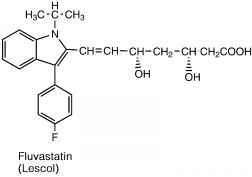 Lovastatin and simvastatin are lactones and prodrugs, activated by hydrolysis in the liver to their respective jS-hydroxy acids. 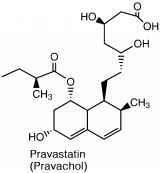 Pravastatin, in contrast, is administered as the sodium salt of the jS-hydroxy acid. Lovastatin. Lovastatin, 2-methylbutanoic acid 1,2,3,7, 8,8a-hexahydro-3,7-dimethyl-8-[2-(tetrahydro-4-hydroxy6-oxo-2H-pyran-2-yl)ethyl]-1-naphthalenyl ester, mevinolin, MK-803 (Mevacor) (formerly called mevinolin), is a potent inhibitor of HMG-CoA. 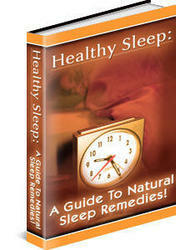 The drug was obtained originally from the fermentation products of the fungi Aspergillus ter-reus and Monascus ruber. 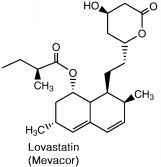 Lovastatin was one of two original HMG-CoA reductase inhibitors. The other drug, mevastatin (formerly called compactin), was isolated from cultures of Penicillium cillium citrum. Mevastatin was withdrawn from clinical trials because it altered intestinal morphology in dogs. This effect was not observed with lovastatin. For inhibitory effects on HMG-CoA reductase, the lactone ring must be hy-drolyzed to the open-ring heptanoic acid. Simvastatin. Simvastatin, 2,2-dimethyl butanoic acid, 1,2,3,7,8,8a-hexahydro-3,7-dimethyl-8-[2-(tetrahydro-4-hydroxy-6-oxo-2-pyran-2-yl)ethyl]-1-naphthalenyl ester (Zocor), is an analog of lovastatin. These two drugs have many similar properties. Both drugs, in the prodrug form, reach the liver unchanged after oral administration, where they undergo extensive metabolism to several open-ring hydroxy acids, including the active jS-hydroxy acids. They are also highly bound to plasma proteins. These actions make the bioavailability of simvastatin rather poor but better than that of lovastatin, which has been estimated to be 5%. Pravastatin. Pravastatin, sodium 1,2,6,7,8,8a-hexahydro-S,S,6-trihydroxy-2-methyl-8-(2-methyl-1-oxobutoxy)-1-naphthaleneheptanoate (Pravachol), is the most rapid acting of the three HMG-CoA reductase inhibitor drugs, reaching a peak concentration in about 1 hour. The sodium salt of the S-hydroxy acid is more hydrophilic than the lactone forms of the other two agents, which may explain this property. In addition, the open form of the lactone ring contributes to a more hydrophilic agent, which, in turn, results in less CNS penetration. This explains, in part, why pravastatin has fewer CNS side effects than the more lipophilic lactone ester of this class of agents. Absorption of pravastatin following oral administration can be inhibited by resins such as cholestyramine because of the presence of the carboxylic acid function on the drug. 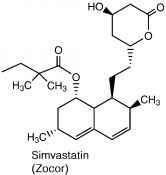 The lactone forms of lovastatin and simvastatin are less affected by cholestyramine. Fluvastatin. Fluvastatin, [fl*,s*-(£)k±)-7-[3-(4-fluo-rophenyl)-1-(1-methylethyl)-1h-indol-2-yl]-3,5-dihydroxy-6-heptenoic acid monosodium salt (Lescol), is very similar to pravastatin. It possesses a heptanoic acid side chain that is superimposable over the lactone ring found in lovastatin and simvastatin. This side chain is recognized by HMG-CoA reductase. Also, much like pravastatin, the CNS side effects of this lipid-lowering agent are much lower than those of the agents that possess a lactone ring as part of their architectural design. Atorvastatin. Atorvastatin, [fl-(fl*,fl*)]-2-(4-fluo-rophenyl)-b,d-dihydroxy-5-(1-methylethyl)-3-phenyl-4-[(phenylamino)carbonyl]-lH-pyrrole-1 -heptanoic acid (Lipitor), also possesses the heptanoic acid side chain, which is critical for inhibition of HMG-CoA reductase. Although the side chain is less lipophilic than the lactone form, the high amount of lipophilic substitution causes this agent to have a slightly higher level of CNS penetration than pravastatin, resulting in a slight increase in CNS side effects. Even so, its CNS profile is much lower than that of lo-vastatin. Atorvastatin is marketed as a combination therapy with amlodipine under the trade name Norvasc for management of high cholesterol and high blood pressure. Rosuvastatin. Rosuvastatin, 7-[4-(4-fluorophenyl)-6-(1-methylethyl)-2-(methyl-methylsulfonyl-amino)-pyrim-idin-5-yl]-3,5-dihydroxy-hept-6-enoic acid (Crestor), is one of the more recently introduced statins in the United States. As with all statins, there is a concern of rhabdomyolysis and as such, the FDA has mandated that a warning about this side effect, as well as a kidney toxicity warning, be added to the product label (http://www.fda.gov/CDER/Drug/advi-sory/crestor_3_2005.htm). 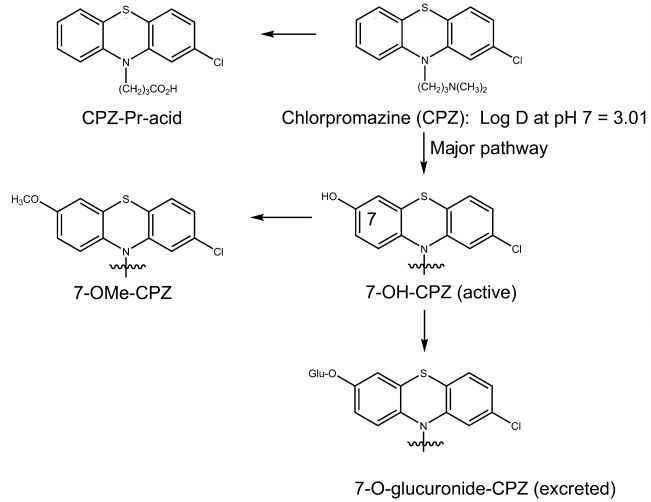 This should not come as a surprise because of the relationship in the chemical architecture to cerivastatin, which was withdrawn from the market as a result of its adverse side effects.